Timber, sugar and pineapples are intensively grown in the area, which produces over 90% of South Africa's queen pineapples. Other agricultural crops are sugar-cane, sisal, cotton, tomatoes and chillies. Due to traditional settlement patterns and customs, activity is still low in some areas. Hluhluwe is considered the hub of tourism in KwaZulu-Natal. The Hluhluwe area has an abundance of accommodation facilities, from budget accommodation to five-star game lodges. Hluhluwe town is a service centre to the surrounding area. 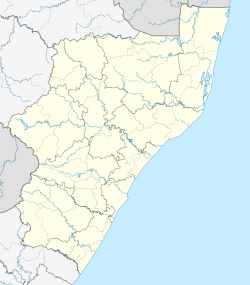 The town is named after the thorny rope climber Dalbergia armata (umHluhluwe in Zulu), which is found among the forest vegetation types in Hluhluwe–iMfolozi Park. 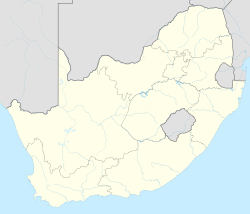 Up to 95% of South African pineapples are produced in this area. The main attractions of Hluhluwe are the big 5 (elephant, rhino, buffalo, lion and leopard), Hluhluwe-iMfolozi game reserve, iSimangaliso wetlands park (formerly known as St Lucia Wetlands Park), its natural diversity, Indian Ocean beaches (accessed through St Lucia or Sodwana bay) and the cultural heritage of the Zulu people. A wide variety of activities is available in and around Hluhluwe. Big 5 safaris, diving, horse riding trails, walking trails, crocodile and snake park, canoeing, boat cruises, mountain bike trails, cultural interactions, cultural villages, curio shops. Game drives (safaris) are either guided or possible in most nature reserves with own vehicle. Entrance fees apply when entering most of the nature reserves with own vehicle. It falls under the eMdletsheni tribal authority. Hluhluwe annually hosts the RIS Hluhluwe Rhino Charge mountain bike race, part of the Big 5 mountain bike challenge, a returning event where hundreds of riders gather during race weekend to challenge one of the most diverse and in some parts technical terrain in the big 5 mountain bike series. In 2013, after a few years of absence, Hluhluwe was the stage of the Bell 400, the national off-road motorcycle and quad bike race, it is currently unknown if the Bell 400 will return to Hluhluwe. ^ a b c d "Main Place Hluhluwe". Census 2011. ^ Samimi, Cyrus (2004). "Biomass Estimation Using Landsat-TM and -ETM . Towards a Regional Model for Southern Africa". GeoJournal. 59 (3): 177 of 187. doi:10.1023/b:gejo.0000026688.74589.58. ^ Lundén, Bengt (1988). "Survey Mapping of Bedrock Outcrops a Comparative Study Using Data from Landsat TM and SPOT HRV". Geografiska Annaler. 70 (3): 125–133. doi:10.2307/521067. ^ Pearce, Douglas (1984). "Geography, Tourism and Recreation in the Antipodes". GeoJournal. 9 (1): 91–95. doi:10.1007/bf00518330. ^ Waldram, Matthew (2008). "Ecological Engineering by a Mega-Grazer: White Rhino Impacts on a South African Savanna". Ecosystems. 11 (1): 101; 112. doi:10.1007/s10021-007-9109-9. ^ Hackel, Jeffrey (1990). "Conservation Attitudes in Southern Africa: A Comparison between KwaZulu and Swaziland". Human Ecology. 18 (2): 203–209. doi:10.1007/bf00889183. Wikivoyage has a travel guide for Hluhluwe.